Teachers work really hard to make sure that we cover all of our state standards in our lesson plans, but that doesn’t always mean that our students are learning all of these skills or are able to apply them. How do teachers know that our students are learning what we are teaching? Setting up a system for tracking student growth allows teachers to determine which students are learning and which ones aren’t as we teach. A system lets us know when to slow down or speed up as we teach. It lets us know when to re-teach, or when to move on. Most importantly, it gives us real data to reflect on what things we are doing as a teacher that are most effective in moving students forward. Tailor your tracking system to your personal organizational style and needs. Make sure that your system is convenient to use so that you will remember to update it regularly. It’s even better if both students and teachers can see some sort of tracking. I like to have students track their own personal progress on sheets they keep in their binder. For my own tracking, I use the same checklists that I print off for keeping track of turned in assignments. Instead of assignments, I label the columns with skills and check off students when I feel they have mastered a skill. I also use a calendar page for each student where I make notes of strengths and weaknesses. Pre-assessments are a great way to find out what your students already know and what you still need to teach before a unit or lesson. They save wasting time on material students already know, and allow you to spend the maximum amount of time covering the things your students still need to learn. I have my students respond to various questions using their white boards. This way I can quickly scan the room to see who understands the concept and who doesn’t. I make a note of the students who don’t answer correctly so that I can plan re-teach opportunities. Exit Tickets are a great way to assess what students know after teaching a lesson. It’s best to keep them short with only a few questions so that you can quickly grade and sort them based on which students understand the material and which ones may need re-teaching. It’s definitely disappointing when students aren’t making the types of progress we expect them to make, especially when we spend so much time making sure that our lessons are just right. There are a few things you can do to make sure that these students don’t fall between the cracks. Using data collected from your pre-assessments and other observations, you can pre-teach concepts to students who may struggle with the material. Many students need to be exposed to concepts multiple times before they understand. By pre-teaching the concepts to these students before whole group instruction, you provide them with the additional opportunity. Peer tutoring allows students to have more opportunities for assistance. I partner each of my students up with another student to learn and practice the material I am teaching during my lesson. 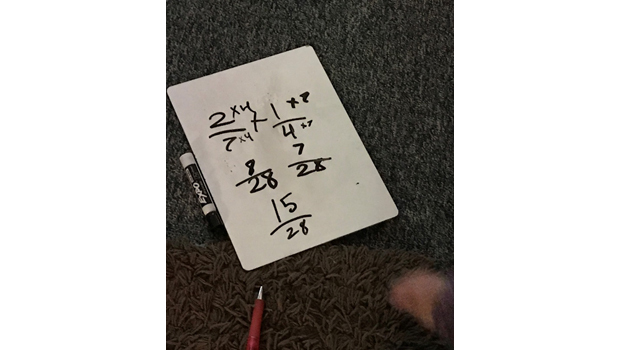 The practice time is divided with each student taking a turn as tutor and tutee. In addition to this set tutoring time, I allow students to ask their partner for help while completing tasks other than assessments. Sometimes it is necessary to re-teach the material. Using post assessments, I like to use the 80/20 rule. If greater than 20 percent of my students receive less than an 80% pass rate on an assignment, I re-teach the lesson to my entire class. 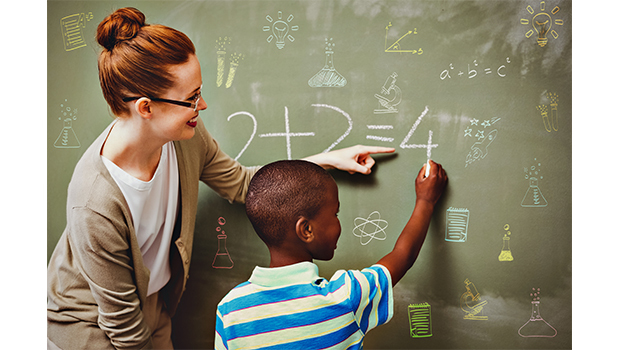 If less than 20 percent of the students receive a lower score, I re-teach in small groups. Tracking student progress is time-consuming, but so critical! The only way to ensure students are learning and making progress is to track their progress, and then to adjust your teaching accordingly if they aren’t moving forward. What are some other ways that you track student progress and how do you help students to master skills who are having trouble progressing the mastery level that they are required to reach? Kelly Malloy is a 4th grade teacher in Northern Nevada. She has previously taught 3rd grade and 7th grade math as well. She is passionate about engaging students in with activities that are both educationally rigorous, but also fun at the same time.